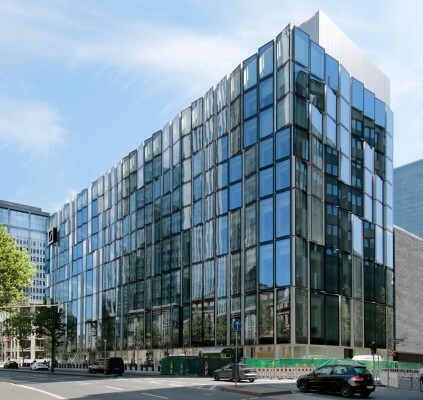 In the city centre of Frankfurt’s financial district, the new office high-rise "Deutscher Bank Campus" with three lower and nine upper levels is located on a property along the Mainzer Landstraße. Several existing buildings along the Mainzer Landstraße have been demolished to make room for a new 9-storey high-rise with approx. 18,000 m² GFA. 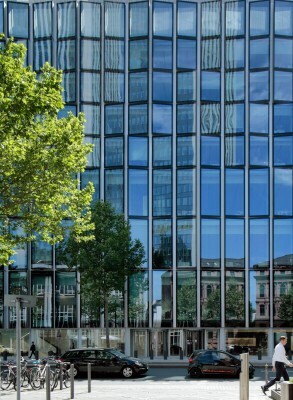 An adjacent existing building (designed by KSP Jürgen Engel Architects in cooperation with B+G and completed in 2003) was included in the planning process in order to connect the two buildings. The sustainable building meets the LEED® Platinum standard. The building shell is planned as a conventional reinforced concrete structure. In addition to the load-bearing façade columns, there are three support axes in the form of column rows in the longitudinal direction of the building. The slabs span in the transverse direction and are pre-stressed at the edges. The vertical load transfer is achieved by the cores and the columns which are staggered by their cross-section. 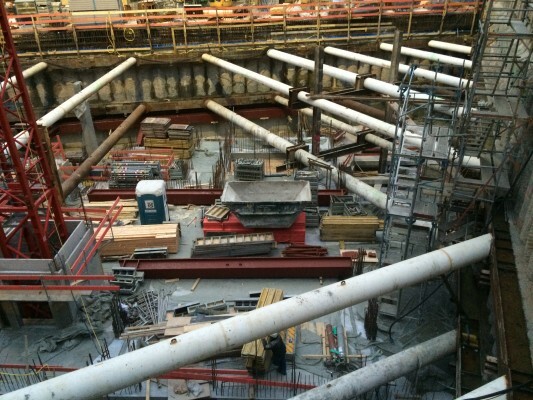 The lateral stability is assured by conventional reinforced concrete cores. Beneath the building there is a suburban train tunnel. The immediately adjacent building Weserstraße 54 was retained. There was a partial demolition of the connecting building above the passageway. The new "Deutsche Bank Campus" cantilevers above the existing underground car park access. The new building is enclosed by approx. 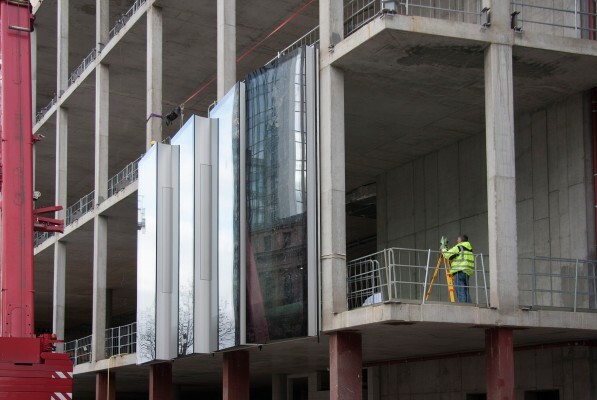 10,000 m² of unitized glass façade. The adjacent existing 6-storey building has been modernized and connected with the new building. 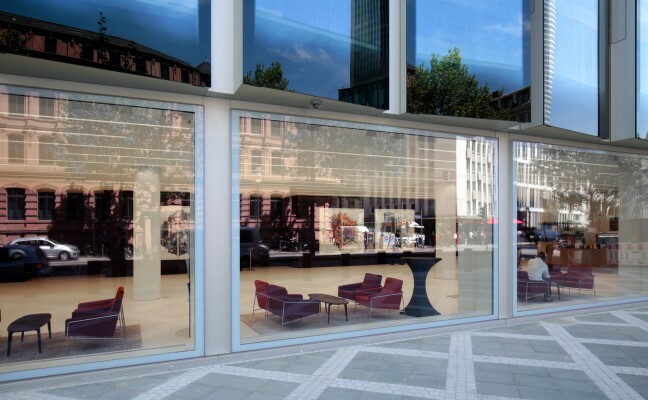 The existing natural stone façade has been refurbished in all relevant areas.